Is My Child Ready for Sports? The answer to this question is more complex than you might think. Readiness for sports does not come with a certain birthday. And just because a program offers sports teams for 4 and 5 yr-olds does not mean that you should feel compelled to sign your child up for the team. Nor should it compel you to think that this is the best possible thing for them. Readiness is also not determined by when the neighbors sign their kids up for sports. To determine when your child is ready for sports you need to know a little bit about physical and psychological development. In this section we will discuss some of the myths involved in early childhood youth sports participation. We will also present a guide to help you determine when your child is ready. Youth sports seem like a rather benign, cultural rite of passage for children all over the country. Many parents feel that putting their child in sports early is the best thing for them, but did you know that pushing an early start could actually be the worst thing in some cases, causing undesired emotional consequences (1)? Some parents view youth sports as the arena where their child will be turned into a superstar, and they are under the impression that giving their child an early start will ensure success in athletics. However, physical education expert and professor Robert Pangrazi (2) says, “There is no evidence to support the idea that starting a child at a young age assures the child will become an outstanding athlete” (p. 30). He also says, “In most cases, a child who is genetically gifted quickly catches up to and surpasses the ‘early superstar’ in one to three years” (p. 30). There are many examples of athletes who did not get an early start in a sport and still went on to be very successful. One example is NBA player Tim Duncan, who did not start playing basketball until 9th grade. Another basketball example is Bob Bigelow, a former NBA first-round draft pick who says he barely touched a basketball before age 14. Another concern with athletes who get an early start is burnout. Burnout can happen when a child gets physically or emotionally drained and loses interest in the sport. Youth sports programs can lead to burnout especially if their structure places emphasis on extrinsic rewards, such as trophies and league standings. Emphasis on extrinsic rewards can ultimately decrease intrinsic motivation of a child, especially in older children (2). Something else to consider when thinking about signing your 4 yr-old up for sports is the nature and structure of the program you are putting them in. First, think about your young child, how limited their world is, and how small their attention span is. Think about the nature of their play – there is probably nothing organized about it. Now think about what is involved in playing on an organized sports team. It goes against their very nature. Young children are very me-centered. They do not yet have the capability to understand the whole concept of being on a team or even to understand what is going on during the game. Highly structured programs for very young kids are a bad idea, and many of the programs that offer teams for young kids are just mini-versions of what big brother and big-sister are playing. They are far from being developmentally appropriate. A developmentally appropriate program for early childhood would be more centered around experimentation with the sport, free play, and very loosely organized games involving the basic skills of the sport that the children would find fun and enhance their enjoyment of being active. Let them start out by developing skills first, and an enjoyment for the sport, before the complicated stuff is added. Wait until they are ready for this. So When are They Ready? Each child develops at his or her own pace, but they will all pass through the same developmental stages. A child will be ready for organized competition when he or she is physically, psychologically and cognitively ready. Physical readiness comes when the child is physically ready to meet the demands of the situation. He or she will have the stamina, endurance and muscular strength needed for the sport-specific skills. For most children, this is not an issue. Psychological and cognitive readiness is more complex. Ultimately, according to youth sports experts Seefeldt and Ewing (1), to be psychologically ready, a child must have “the desire to compare skills with others” and reach “a level of cognitive maturity that allows her or him to understand the competitive process.” The ability to compare their skills with those of others develops around age 5 or 6 (1, 3). But until as old as 8 or 9, children still rely on objective measures to provide them with information on their ability. They may take their information on their ability from the outcome of the game, a win or a loss, or from feedback provided by the coach or parent (1). However, at 8 or 9 a child may still not have a grasp on the more complex nature of competition and may still not be psychologically or cognitively ready to play on an organized sports teams. The result is “beehive soccer” (4), a swarm of kids running all over the field while the coaches and parents yell for them to stay in their positions. Cooperation and social skills are necessary to play on a team, and these skills may not be developed until around age 8 (3). Between about ages 8 to 12, the child’s perspective and ability to understand roles and positions is developing. As a child grows, his perspective changes from a more self-centered perspective toward a third-party perspective. This means they are able to view their world from another perspective. This change in perception happens by around age 12 (4), so it may not be until the age of 12 that a child has reached the level of cognitive maturity to understand and appreciate competition and get the most benefit out of competition. For those of you who want a specific age to determine when your child is ready for organized sports, professor Daryl Siedentop says that “Most scientific experts (psychologists, pediatricians, etc.) suggest that children should not begin organized sport before the age of 8 years” (3). However, organized sports programs and coaches for this age group must take into consideration the fact that most 8 yr-olds do not have the cognitive ability to understand strategy and team roles or positions very well. They also need to understand that the focus should be on learning skills and expression and not on competition and team strategies (4). 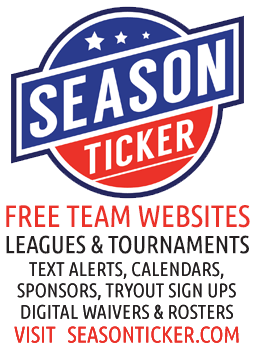 Programs that focus on competition, league standings, etc. should be held off until at least the age of 12, when a child can appreciate and understand the situation better. There is nothing wrong with wanting your child to get an early start in being physically active. All children should be encouraged to be as physically active as possible. Youth sports may seem like a benign way to help your child be active. However, it is important to remember that children have unique developmental needs, depending on the developmental stage which they are in. Youth sports organizations are frequently just mini-versions of adult sport and may not have made modifications to ensure their programs are developmentally appropriate. Volunteer coaches, the backbone of youth sports organizations, frequently do not have the child development knowledge necessary to deal with these complex persons, causing them to have unrealistic expectations and causing unnecessary frustration on all sides. It is important that you investigate the programs in which you are thinking about enrolling your children and demand that demand that the organizations running the programs ensure that they are developmentally appropriate. I challenge you to help create a positive and rewarding youth sports climate in this nation that will keep our youngsters excited about physical activity and lifelong participants in physical activity. (1) Seefeldt, V. & Ewing, M. E. (1997). Youth sports in America: An overview. (2) Pangrazi, R. P. (2001). Dynamic Physical Education for Elementary School Children (13th ed.). Boston: Allyn and Bacon. (3) Siedentop, D. (2001). Introduction to Physical Education, Fitness, and Sport (4th ed). Mountain View, CA: Mayfield Publishing Company. (4) Coakley, J. (2004). Sports in Society: Issues & Controversies (8th ed.). Boston: McGraw Hill.